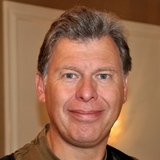 Ben Linders is an Independent Consultant in Agile, Lean, Quality, and Continuous Improvement, based in The Netherlands. Author of Getting Value out of Agile Retrospectives, Waardevolle Agile Retrospectives, What Drives Quality and Continuous Improvement. Creator of the Agile Self-assessment Game. Ben is an active member of networks on Agile, Lean, and Quality, and a well known speaker and author. He shares his experiences in a bilingual blog (Dutch and English), as an editor for Culture and Methods at InfoQ, and as an expert in communities like Computable, Quora, DZone, and TechTarget.